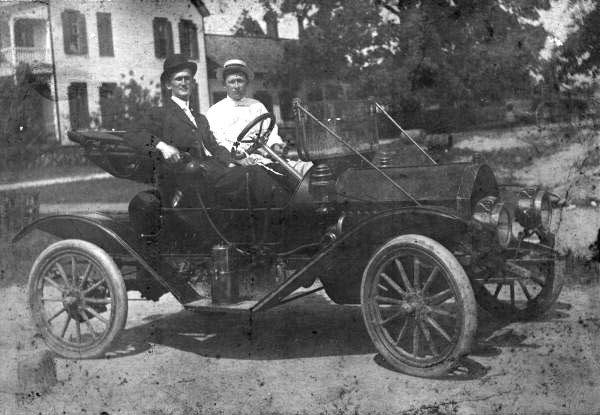 David Samuel Bailey was born on September 16, 1867 somewhere in Florida and died on August 2, 1912 in Blountstown, Florida. He lived to be 44 years old. 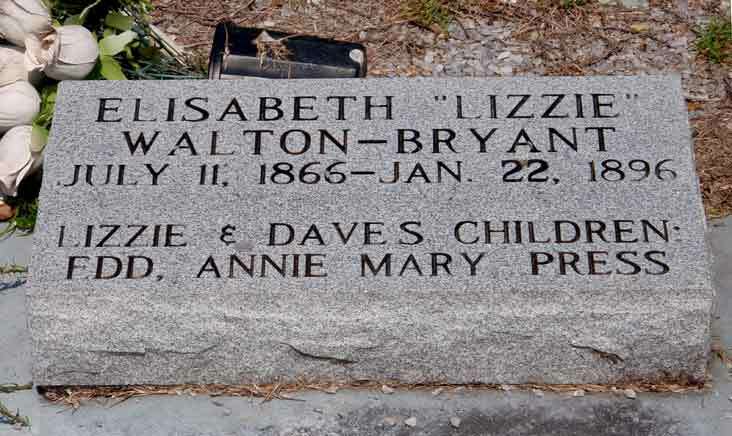 He married Elizabeth "Lizzie" Walton Bryant (7/11/1866-1/22/1896). 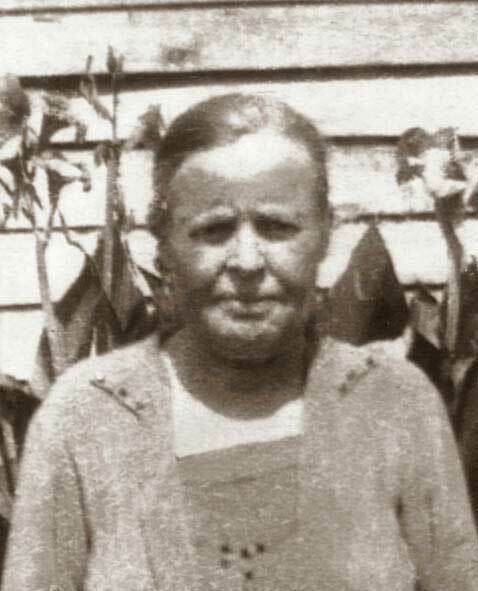 David married his 2nd wife: Clara Belle Pope Dunham (8/27/1872-6/22/1949). Recorded as family #269,186: Gadi Baley(age 26), Wealithy (age 25), David (age 4) and Jesse (age 2). 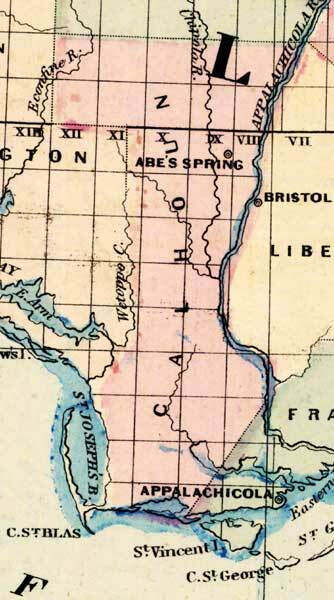 Gadi was born in SC all others in FL. Gadi is a farmer and estimates the value of his property to be $200. on the same page is 270,187,Samuel Laramore,268,185 Polly McCormick,267,184 Jesse Bailey Jr. and their families. 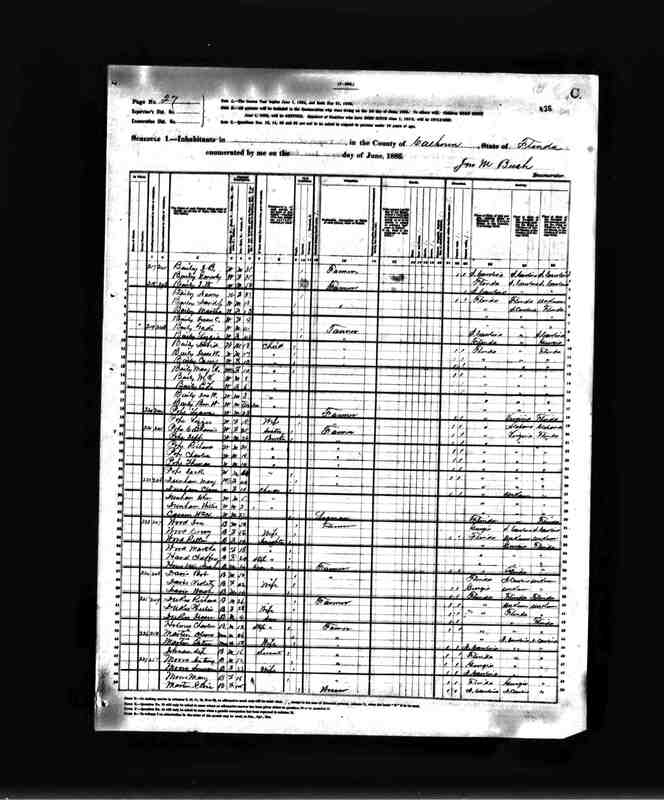 Recorded as dwelling #219 and family #243: Gadi Bailey (age 41), Weathy Bailey (age 42), David Bailey (18), Jesse Bailey (17), Carry Bailey (10), Mary Ann Bailey (10), M.V. Bailey (8), and E.L. Bailey (age 6). Gadi is a farmer. He and both of his parents were born in SC. Weathy was born in FL, her father in SC, and her mother in GA. All of the children were born in FL. The families of J.B. (and Emily) Bailey and J.W. (and Nancy) Bailey live on either side of Gadi's farm. Family #264: David Bailey (age 33 - Sept.1867) Clara Bailey (Feb.1875), Belle Bailey (11 - Aug. 1888), Mary Bailey (8 - July 1891), Preston Bailey (7 -July 1893)Thomas Bailey (3 - Apr. 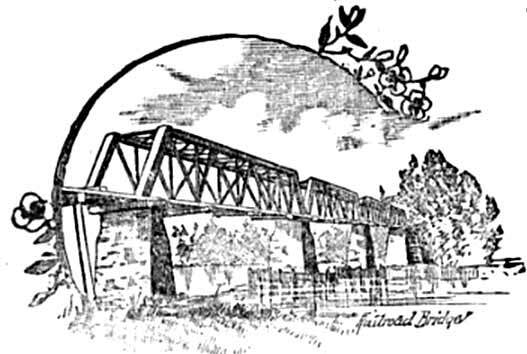 1897), and Ida Bailey (2 -May 1898). All were born in Florida. David is a farmer. family #263 is David's cousin - William Jesse Bailey and his family. 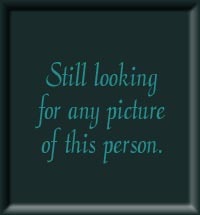 David S. Bailey - Doc.# 17445, Acres - 160, Township 1-N, Range 8-W, Sec. 3o, Merdian-Tallahassee, FL. 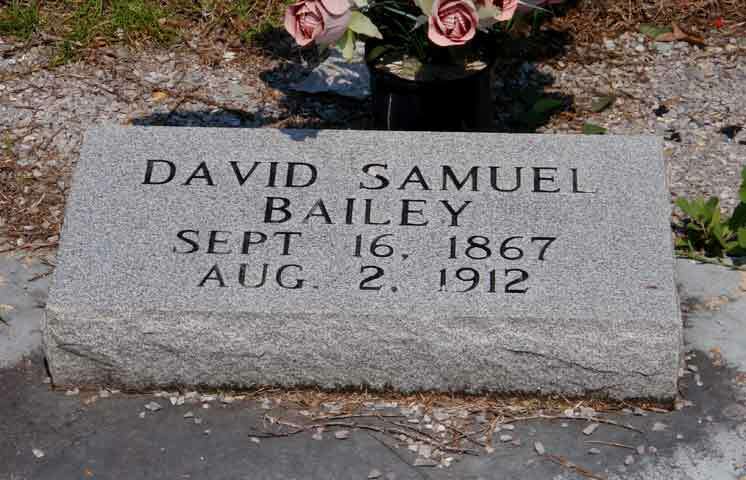 Magnolia Cemetery- David Samuel Bailey - Sept.16, 1867 to Aug. 2, 1912. Click on any of the News, Events, or Discoveries buttons above to see historical things that happened during David Bailey's life. These are only some of the major events that affected the life and times of David, his family, and friends. For example, David is 1 years old when An eight-hour work day is established for federal employees. Born on August 27, 1872 and died on June 22, 1949. 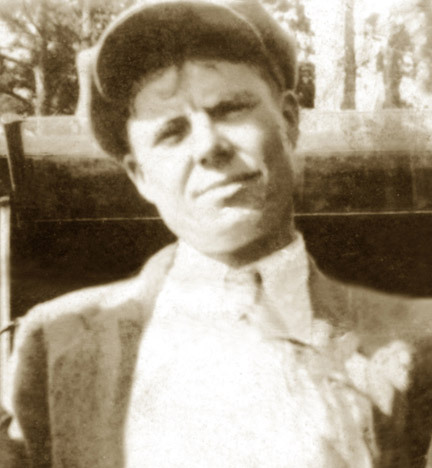 Born somewhere in Florida on September 16, 1906 and died in Blountstown, Florida on October 30, 1965. He was 59 years old. He married Lois Cain (11/26/1910 to 12/30/1960).